SLS Hotel at Beverly Hills, a Luxury Collection Hotel, has partnered with Lamborghini to launch an innovative package that includes accommodations in a SLS Suite, a personal Lamborghini for the duration of the hotel stay and 25,000 SPG points. The legendary automaker Automobili Lamborghini S.p.A. offers this exclusive opportunity for connoisseurs to experience a stunning showcase of speed and beauty, the Gallardo. As part of the SLS Lamborghini Package, guests will have exclusive access to one of the most powerful and elegant, yet drivable, super sports cars of all time: the Lamborghini Gallardo. 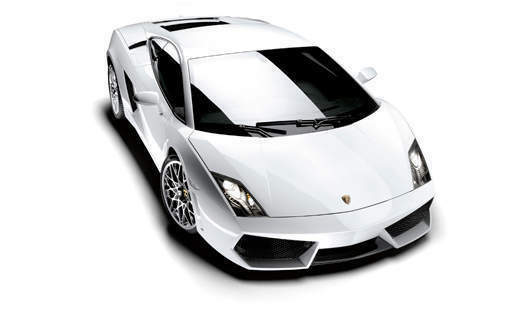 Conceived without a single compromise, the Lamborghini Gallardo is a lightweight, comfortable and blisteringly fast model designed as the pinnacle of supercar performance and luxury. Guests will also receive design-focused Lamborghini gifts throughout their stay, from rare model cars to Bologna postcards to a hardcover book of the supercar marque. The 297-room Philippe Starck-designed SLS Hotel at Beverly Hills, opened in November 2008, introduces dynamic new concepts for dining and guest services, offering a truly evolved luxury hospitality experience for today’s global explorer. Created by some of the world’s most talented minds, SLS features exclusive designs and custom furnishings by Philippe Starck, a culinary program crafted by Spanish Chef José Andrés and custom-curated retail by Moss. SLS Hotel at Beverly Hills is operated under a management agreement with Starwood Hotels & Resorts Worldwide, Inc., as part of The Luxury Collection Hotels & Resorts, a glittering ensemble of more than 69 of the world’s finest hotels and resorts in more than 26 countries in bustling cities and spectacular destinations around the world. Combined with SBE’s already successful development and operation of some of the country’s hottest restaurants, nightclubs, and lounges; the addition of SLS Hotels brand represents an incredible and matchless synergy. SBE’s Katsuya, XIV, Hyde Lounge, Area, Mi-6, and The Abbey have all become wildly popular destinations for Los Angeles’ A+ list, and additional U.S. locations for these brands are already in the works, including possible outposts at future SLS properties. SLS guests will thus be able to enjoy not only incredible hotels but also fantastic restaurants and nightlife, and receive preferential access at each establishment. Founded in 1963 and bought by Audi AG in 1998, Automobili Lamborghini is headquartered in Sant’Agata Bolognese, Italy and manufactures some of the world’s most sought after super sports cars. With 29 dealerships in North America and 122 worldwide, Automobili Lamborghini has created a succession of dynamic and elegant sports cars and sedans including the Miura, Countach, Diablo, Murciélago, Gallardo, Murciélago, Murciélago LP640, Reventón, Murciélago LP 650-4 Roadster and the recently introduced Gallardo LP 560-4 and LP 550-2 Valentino Balboni. Since 1963, Lamborghini has been building exotic sports cars with elegant interiors, the dream cars of company founder Ferruccio Lamborghini. Form has always gone hand-in-hand with function at Lamborghini headquarters in Sant’Agata, Italy, with powerful engines propelling strikingly beautiful, fast cars.